The Central Intelligence Agency released a video on November 1, 2017, depicting Hamza bin Laden, son of the late al-Qaeda leader Osama bin Laden, celebrating his wedding in Iran. WASHINGTON -- The US Central Intelligence Agency (CIA) Wednesday (November 1) released a vast archive of intimate al-Qaeda documents, including Osama bin Laden's handwritten diary, that were seized in the deadly 2011 raid on his Pakistani compound. The CIA has previously made public files that were recovered when US Navy SEALs burst into the Abbottabad compound and shot dead the leader of al-Qaeda's global extremist network. 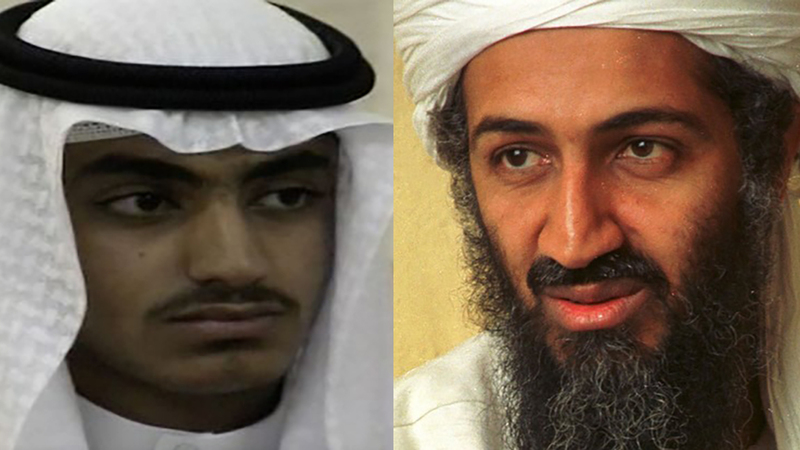 The latest release of 470,000 additional files includes the first public images of bin Laden's son Hamza as an adult. Hamza bin Laden (left), the son of late al-Qaeda leader Osama bin Laden, celebrates his wedding in Iran in a screenshot taken from a video released by the CIA November 1. A video released by the CIA November 1 shows the first adult images of Hamza bin Laden, the son of late al-Qaeda leader Osama bin Laden. The documents shed new light on al-Qaeda's murky relationship with Iran, say scholars who obtained access to the now de-classified trove. The inclusion of Hamza bin Laden's wedding video gives the world the first image of bin Laden's favourite son as an adult -- footage apparently shot in Iran. Bin Laden was grooming Hamza to succeed him as leader of al-Qaeda's global jihadist campaign, according to previous document releases, including letters revealed by AFP in May 2015. But plans for him to come to bin Laden's Abbottabad hideout were apparently abandoned after the deadly US raid, and the young man -- now aged 27 or 28 -- is presumed to be in Iran. Thomas Joscelyn and Bill Roggio, scholars from the Foundation for Defense of Democracies (FDD) who gained permission to see the trove before it was made public, wrote on the FDD's Long War Journal blog that one of the newly released documents is a 19-page study of al-Qaeda's links to Iran penned by a bin Laden lieutenant. "There have been relationships, there are connections. There have been times the Iranians have worked alongside al-Qaeda," CIA Director Mike Pompeo said last month at a seminar hosted by FDD. "There have been connections where, at the very least, they have cut deals so as not to come after each other," he added. The full extent and true nature of this relationship are unclear and a matter of dispute among scholars and policy-makers. 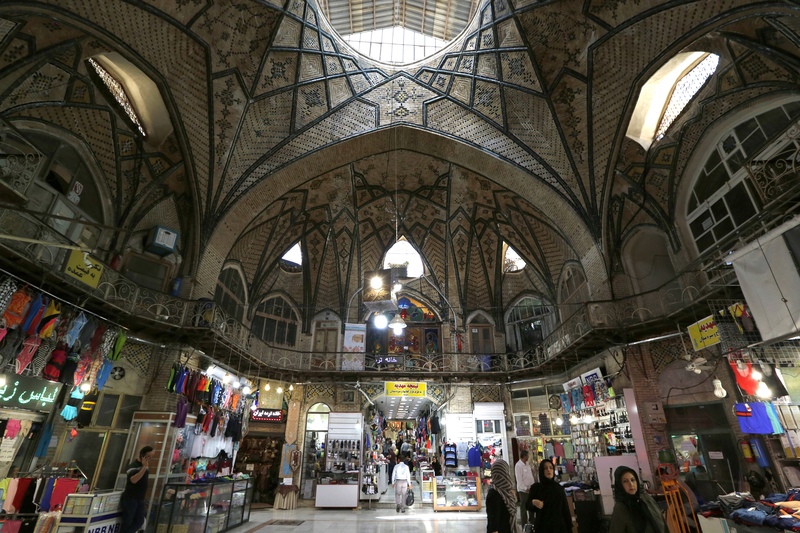 On the one hand, Tehran and its largely Shia proxy forces in the Middle East often battle Sunni movements aligned with al-Qaeda's deeply sectarian ideology. Iran-backed Hezbollah, for example, is locked in conflict against al-Qaeda-linked Syrian rebels. 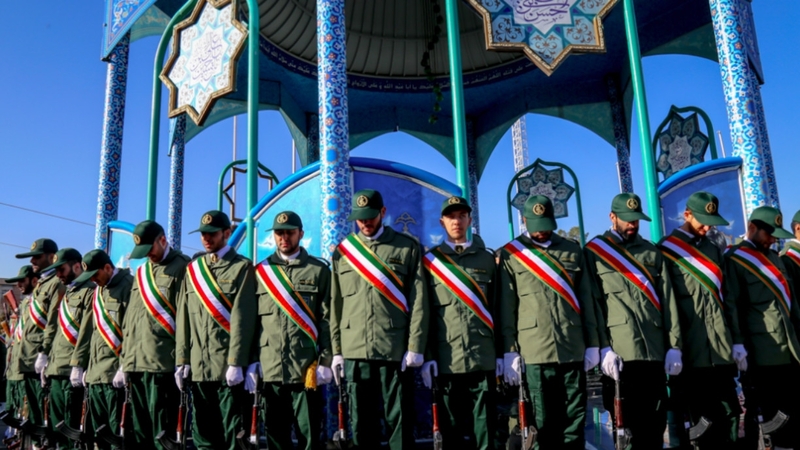 But Hamza and other senior militant figures' apparent ability to function under Iranian protection supports the view that Tehran and Hamza's father had a working relationship. One document, Joscelyn and Roggio write, recounts how Iran offered training, money and arms to some of al-Qaeda's "Saudi brothers" on the condition that they attack US interests in the Gulf. However, some files show stark disagreements between Tehran and al-Qaeda. Bin Laden once wrote to the then-Iranian leader, the Ayatollah Ali Khamenei, to demand his relatives' release. Nicely written; but is whatever you have written true?